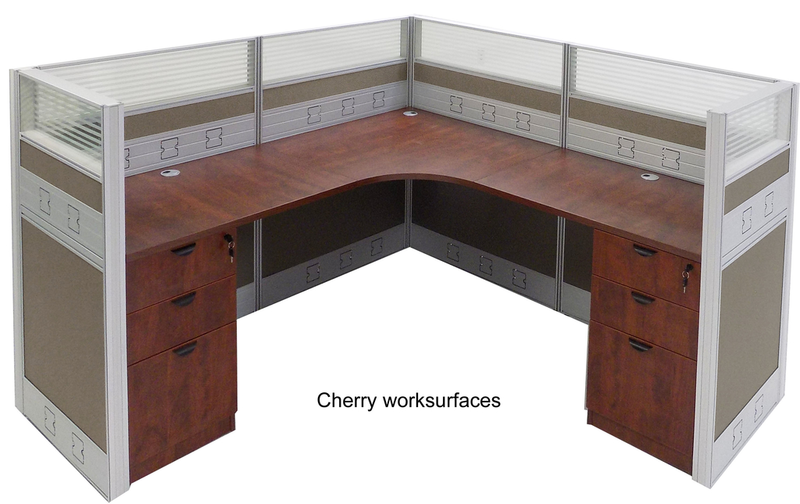 Complete modern cubicles with technology-friendly design at an affordable price! 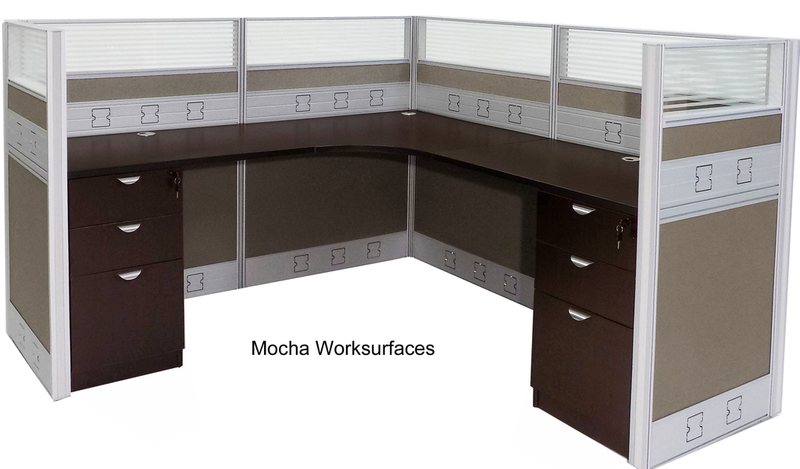 Office panels include high end features such as dual cable raceways to keep cords concealed, attractive neutral taupe fabric and tempered glass windows with frosted striping. Panels simply clip together for quick and easy set up. 72" x 72" x 48"H Complete Double Raceway Starter Cubicle w/2 File Units sold above. See other sizes below. Each cubicle includes all 48" high panels with glass windows, connecting posts, worksurfaces, two locking box/box/file drawer units and necessary hardware. 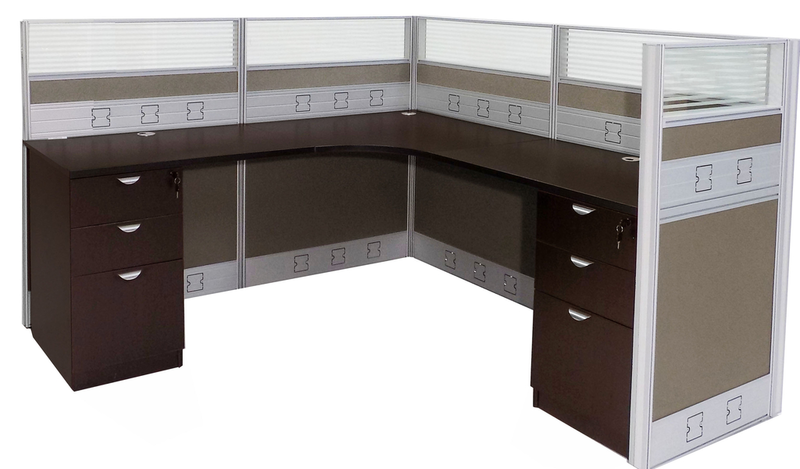 Outer cubicle dimensions are 76-1/2" x 76-1/2". Shipping weight 427 lbs. PRICE INCLUDES SHIPPING! (Truck shipment - See Terms & Conditions). IN STOCK! 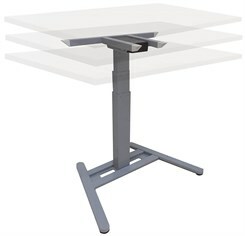 * Worksurfaces mount firmly into panel frames with simple clip-in mounting brackets provided. 3 - 9 $1,699.00 ea. 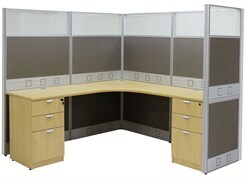 Add-On 48"H Cubicle to Starter Cubicle, No. 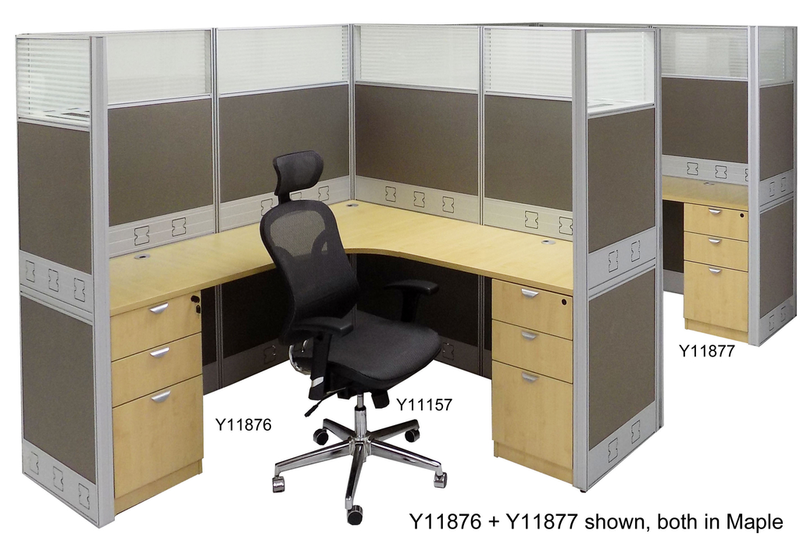 Y11874, above for complete additional cubicle workstation. Complete 48"H Add-On Cubicle includes all 48" high panels with glass windows, connecting posts, worksurfaces, two locking box/box/file drawer units and all necessary hardware as shown. 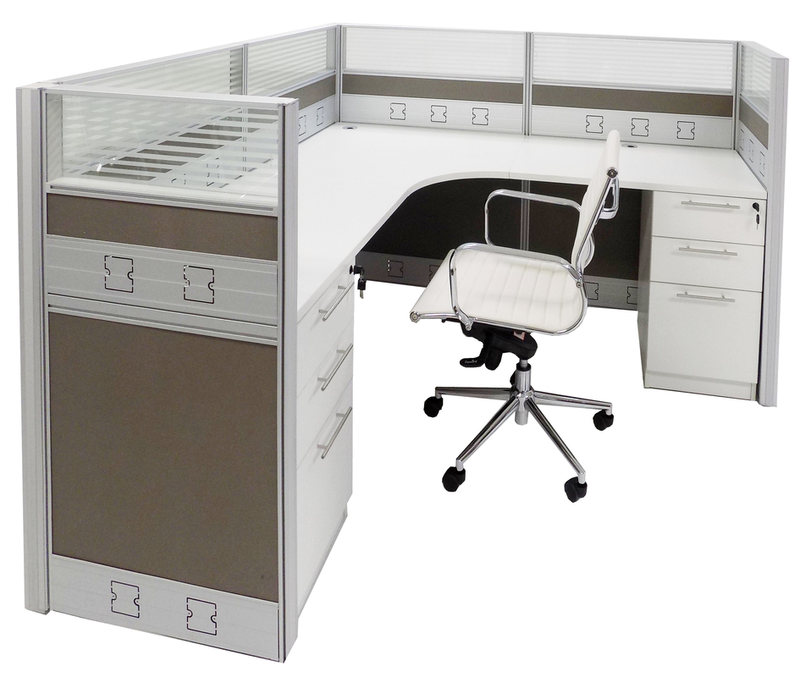 Outer cubicle dimensions are 74-1/4"W x 76-1/2"D x 48"H. Shipping weight 372 lbs. PRICE INCLUDES SHIPPING! (Truck shipment - See Terms & Conditions). IN STOCK! 1 - 2 $2,599.00 ea. 3 - 9 $2,499.00 ea. 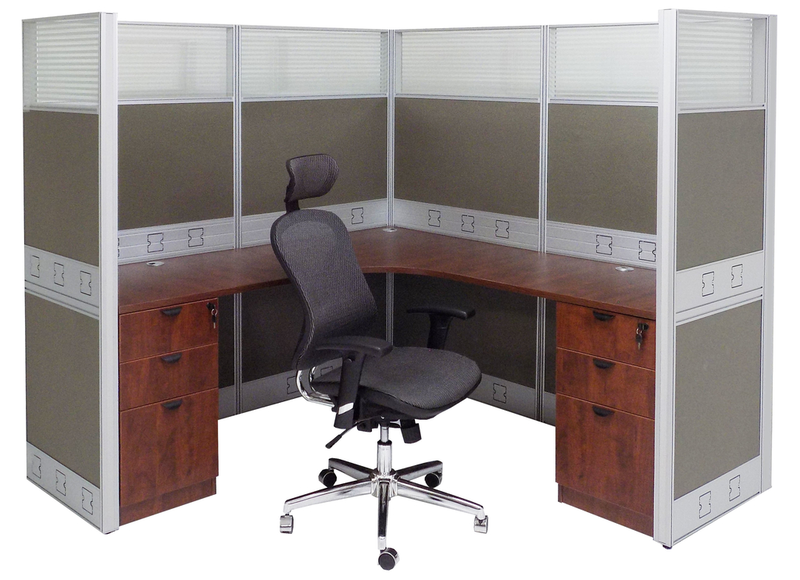 Complete Starter Cubicle includes all 67" high panels with glass windows, connecting posts, worksurfaces, two locking box/box/file drawer units and all necessary hardware as shown. 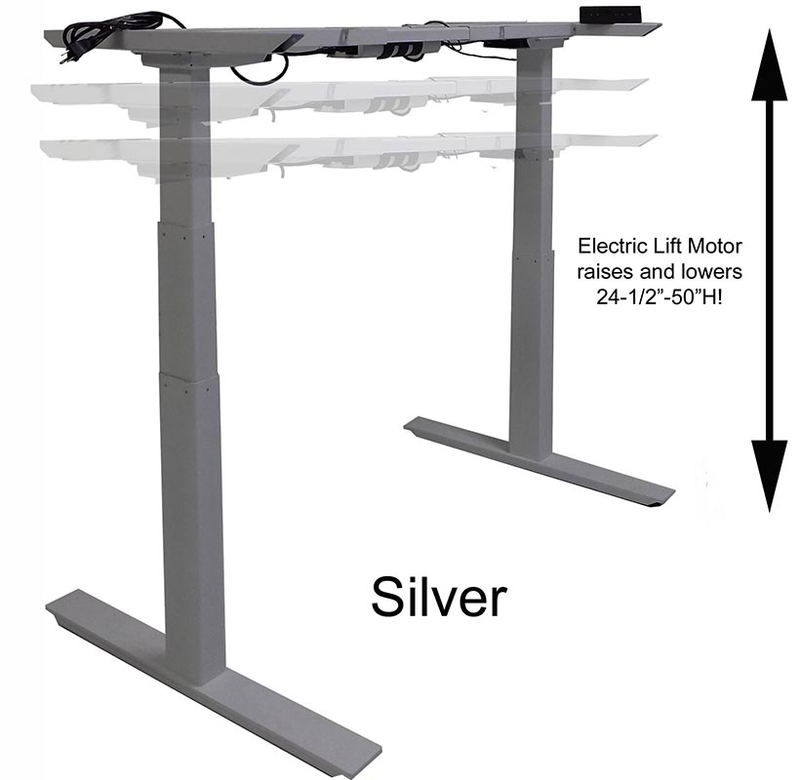 Outer cubicle dimensions are 76-1/2"W x 76-1/2"D. Shipping weight 502 lbs. PRICE INCLUDES SHIPPING! (Truck shipment - See Terms & Conditions). IN STOCK! 1 - 2 $2,299.00 ea. 3 - 9 $2,199.00 ea. 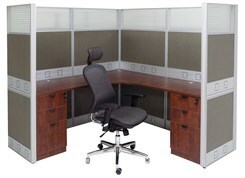 Add-On 67"H Cubicle to Starter Cubicle, No. 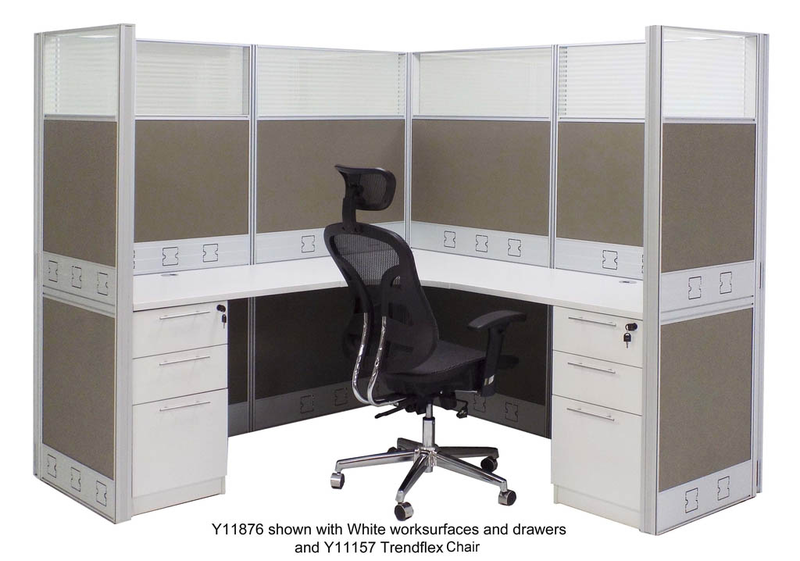 Y11876, above for complete additional cubicle workstation. 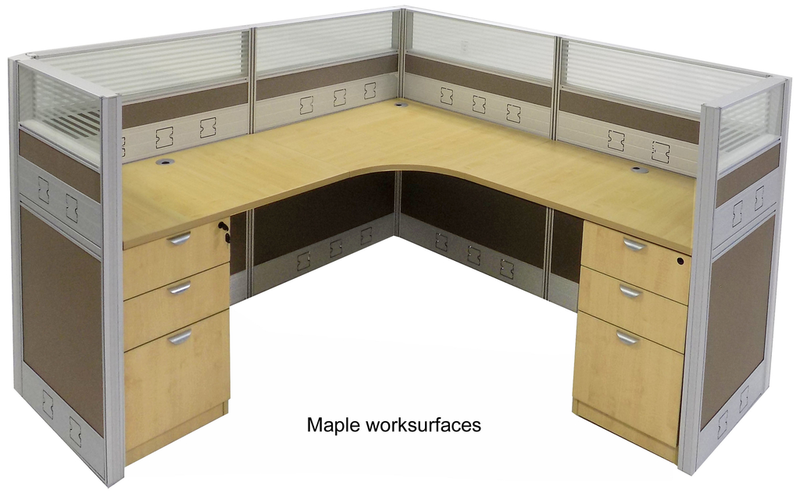 Complete 67"H Add-On Cubicle includes all 67� high panels with glass windows, connecting posts, worksurfaces, two locking box/box/file drawer units and all necessary hardware as shown. 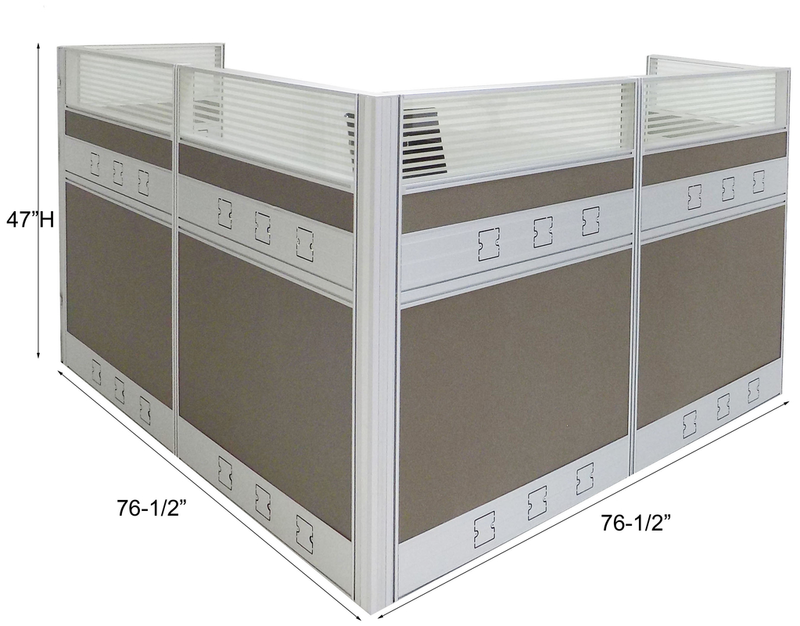 Outer cubicle dimensions are 74-1/4"W x 76-1/2"D. Shipping weight 462 lbs. PRICE INCLUDES SHIPPING! (Truck shipment - See Terms & Conditions). IN STOCK!